We at The Local are pleased to announce the arrival of Todd Olmstead, who today begins work as the news blog’s assistant editor for digital and community outreach. In this newly created role, Mr. Olmstead will help to facilitate a neighborhood-wide conversation through the blog’s social media presence on Facebook and Twitter. He will also be a regular presence in the neighborhood and engage with the site’s readers on a one-on-one basis. Mr. Olmstead is a student in the Studio 20 master’s degree concentration at NYU Journalism where he studies the Web and innovation in journalism. Since coming to NYU, he has served as a community intern at Mashable and managed Explainer.net, home of Studio 20’s Building a Better Explainer project. 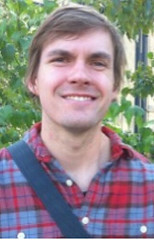 A graduate of Colby College, Mr. Olmstead previously lived and worked in Iowa City, where he covered the local music scene. His writing on music has appeared on Crawdaddy, Tiny Mix Tapes, Daytrotter, and his own site. Last fall, he was a member of The Local’s social media team. Follow Mr. Olmstead on Twitter at @toddjolmstead.